Meat The Butcher's Chilean Sea bass is line-caught from the southern Atlantic and Pacific oceans. This succulent cod is an excellent source of protein and when seared just right, has a flaky, tender texture that can be cut with a fork. 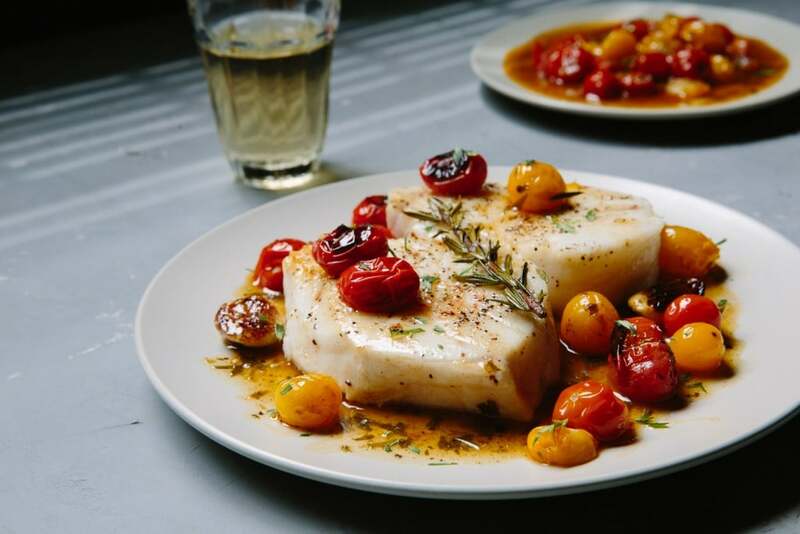 The Chilean Sea Bass's own flavors fair well with the sweet juices from cherry tomatoes. Melt butter on a medium sized cast-iron pan. Season your fillets with salt and pepper well and sear on cast iron pan for about 6 minutes on each side. 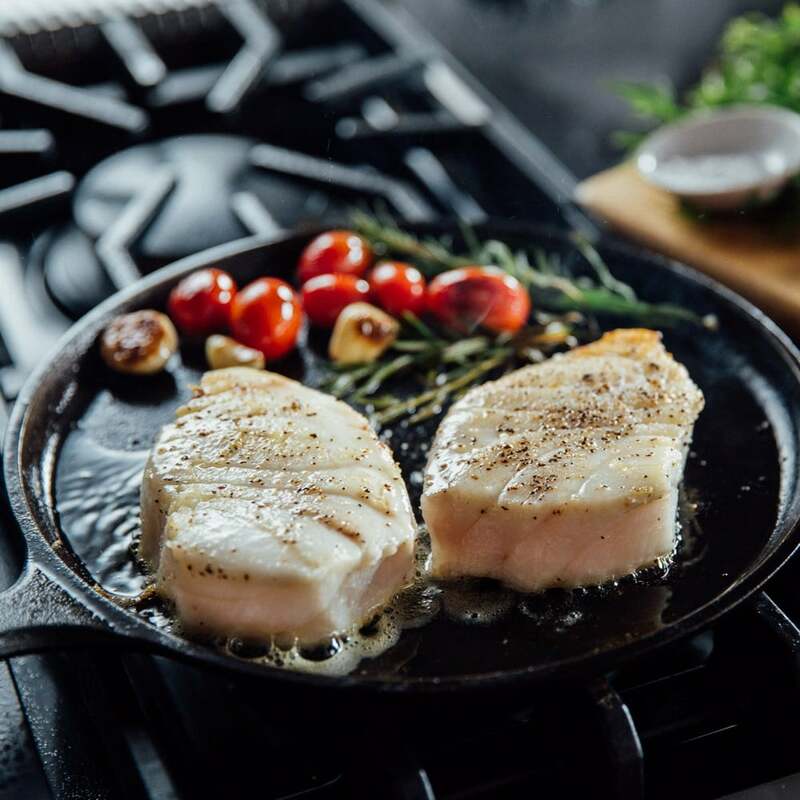 Once your fillets are done searing, add cherry tomatoes to pan along with oil, rosemary, garlic, shallots and basil and cook until tomatoes start to burst. Transfer fillets to a plate and top with the tomato mixture. Enjoy immediately.